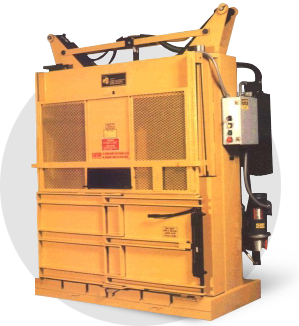 The M-60 LPSS Low Profile Space Saver Vertical Cardboard Baler for Sale is designed to produce dense mill-sized bales despite the fact that it operates under an 8 foot ceiling and requires significantly less operating room than standard 60" balers. 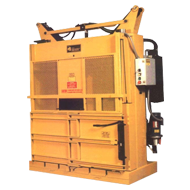 Double safety interlocks, the elimination of all shear and pinch points and a low loading height make this an extremely safe machine. Supermarkets, department stores and manufacturing facilities often choose this model.